No matter how old a house is or what its condition is, it can always get some improvement. Such projects require careful planning and preparation. One of the important things to think about is how you will keep the rest of the fixtures and fittings in the building and its HVAC system protected while the work is going on. There may be a need for extensive ventilation cleaning covering the ductwork as well. Find out more about the measures that you need to take in order to keep your family and assets protected. The first factor to consider is what changes will be made to the house. If you plan to repaint the walls, for instance, you will need to cover the floors and the surrounding furniture. However, if the project involves removal of the old paint before the application of new material, you will have to protect the entire indoor environment. You must ensure that no particles will be circulated around the house by the HVAC system. Keep in mind that even with frequent air filter replacement, the problem cannot be prevented or resolved. In general, whenever there are fine particles released into the air during the work, special protective measures have to be adopted. It does not matter what materials are involved. In rooms where the modification work will take place, all air vents have to be shut. You should open the windows to get proper ventilation. The shutting of the vents will still leave some room for dust to get inside the ductwork, however. That is why it is best for the air ducts to be sealed before the project is started and stay that way until it is completed. This means that you will not be able to use the HVAC system while the work is going on. In order for the perfect result to be achieved, the seals must be of the highest quality and cover the entire duct opening. They must be set firmly and securely in place. 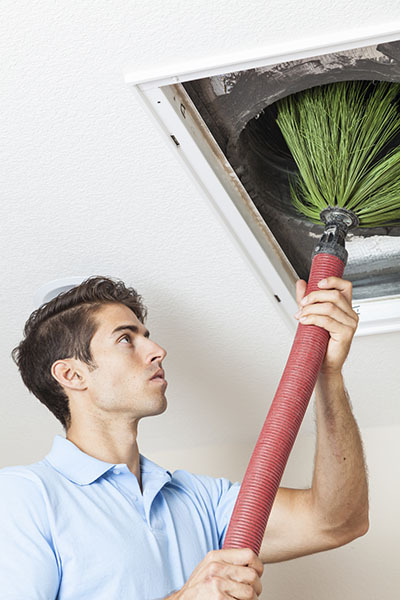 If for some reason the ductwork cannot be sealed and the HVAC system has to remain in use, you must opt for air duct cleaning immediately after the project has been completed. Thorough cleaning of these components will also be required if you have not cleaned effectively the surfaces of the house and especially the vents before the removal of the seals. This is a commonly made mistake, but it can be fixed. The work should also include air filter cleaning or replacement for best results. Last, but not least, if hazardous materials such as asbestos ceiling tiles or lead paint will be removed during the project, you must take special measures for protection. Make sure that they are implemented correctly.